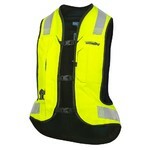 The Airbag Vest Helite Turtle 2 Extra Wide is a 3-in-1 vest providing a revolutionary level of protection. 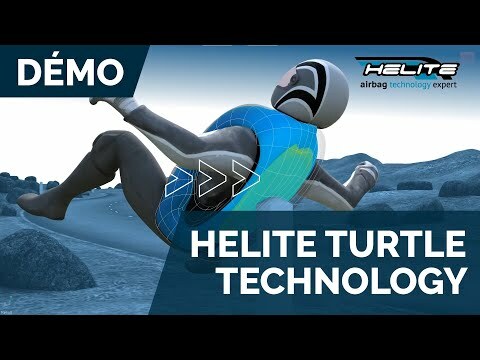 The main advantage is the presence of inflatable airbag system, which can absorb impacts on the upper body and ensures effective dispersion of energy. Therefore, potential head impacts will occur in lower speed and with delay, as a result of which your head will be protected against traumatic brain injury. Moreover, the head and spine will stay fixed in a natural upright position so that neck vertebrae cannot get injured by hyperflexion. The vest is also equipped with a back protector (SAS-TEC, Level 2) which acts like a turtle shell. The result is increased protection against tearing and full dispersion of force over the surface. 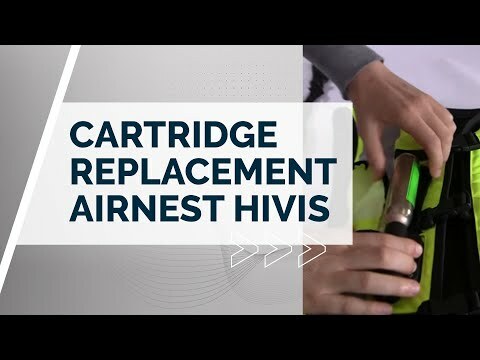 For high comfort, the Airbag Vest Helite Turtle 2 Extra Wide is equipped with inner mesh for better air circulation and the system of buckles and Velcro straps for easy size adjustment and easy fastening with motorcycle gloves on. Another practical feature is its large reflective applications which increase your passive safety while riding in poor light conditions.